The best way to create a productive, year-in-and-year-out offensive line is to stop blocking everyone and let the quarterback and B-back read your way out while mastering a few blocking drills. Be sure you are prioritizing your offensive approach. 1-Allow the quarterback to read the defensive lineman aligned on the playside tackle. -If there is a defensive lineman aligned on the outside shoulder of the playside tackle, allow the quarterback to read him. -You can actually read the defensive lineman aligned on the outside shoulder of the playside guard AND the defensive lineman aligned on the playside tackle on the same play—This is Midline Triple. 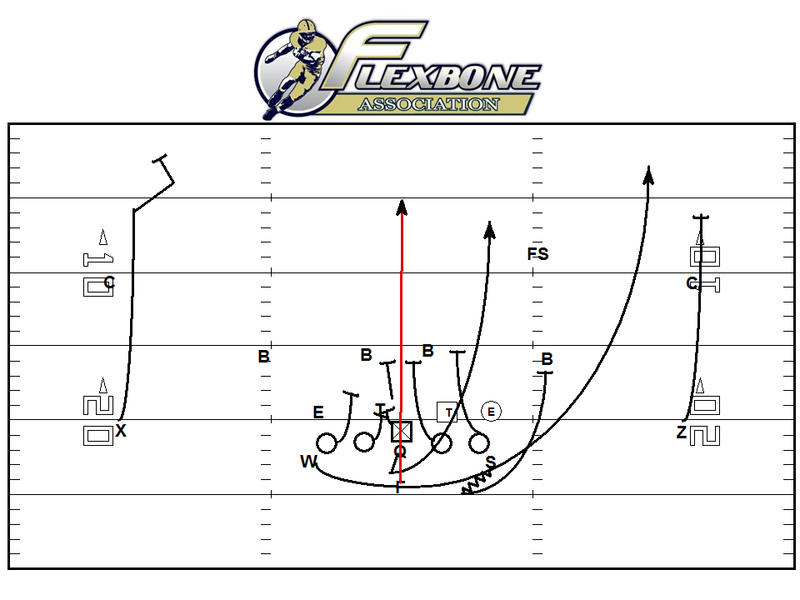 2-Allow the B-Back to read the defensive lineman inside the read (action key). -The B-back stays on his dive path unless the defensive lineman inside the read impedes the dive path. -When this happens on Triple Option, the B-back takes a lateral step with his backside foot, and bends behind this player, making him invisible. -When this happens on a Midline Option, the B-back takes a lateral step with his playside foot, and bends in front of this player, making him invisible. – Situational scoop blocking, situational veer release progressions, situational base blocking, situational “Ace” blocking, and situational Pass Protection. -Practice the first step, urgency within the blocking angle, and the specific block’s finish. -Situations within each block must be practiced. 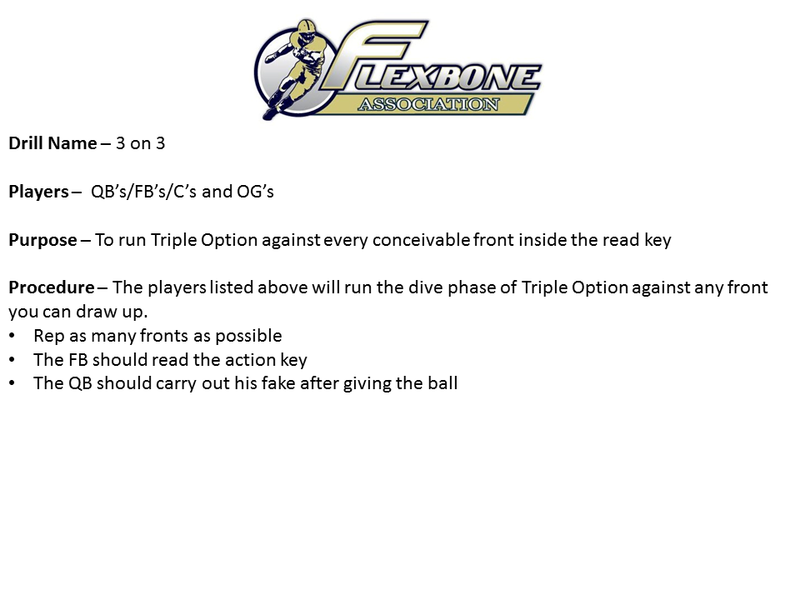 Below is a description and purpose of the 3 on 3 drill. -It’s often been said that the two hardest positions to coach on the field are the offensive line and defensive backs. 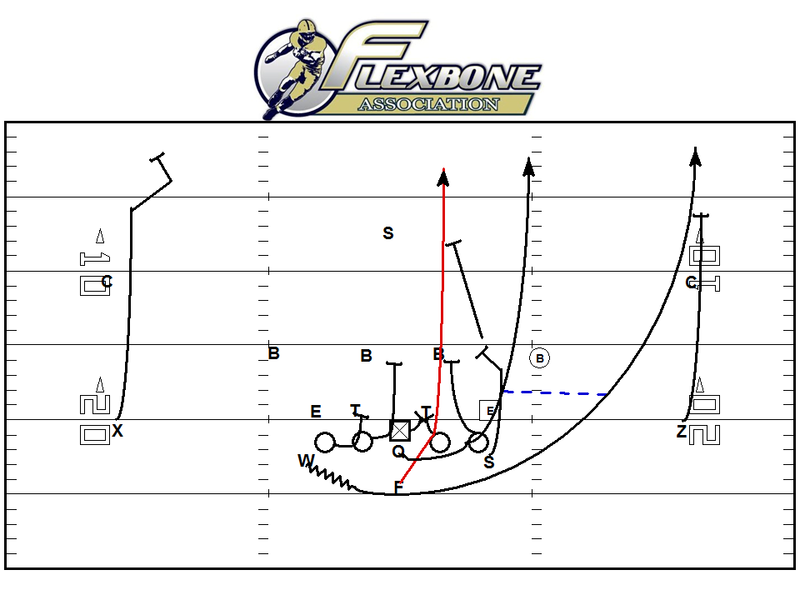 -The flexbone offense forces your offensive line coach to coach differently than he likely ever has in the past. -If you’ve never coached the offensive line as a head coach, you’d better find a very good one with some experience. Here are some errors that must be corrected. -Far too often I’ve seen position coaches become spectators on Friday nights. –Lay out specifically what each person’s role is during the game so you are maximizing your team’s efficiency and effectiveness. Allow your offensive line to dominate by reading your way out. Neutralize your opponents defensive line. Navy’s sub 300 pound offensive line averages well over 300 yards/game rushing by reading their way out 40 percent of the time.